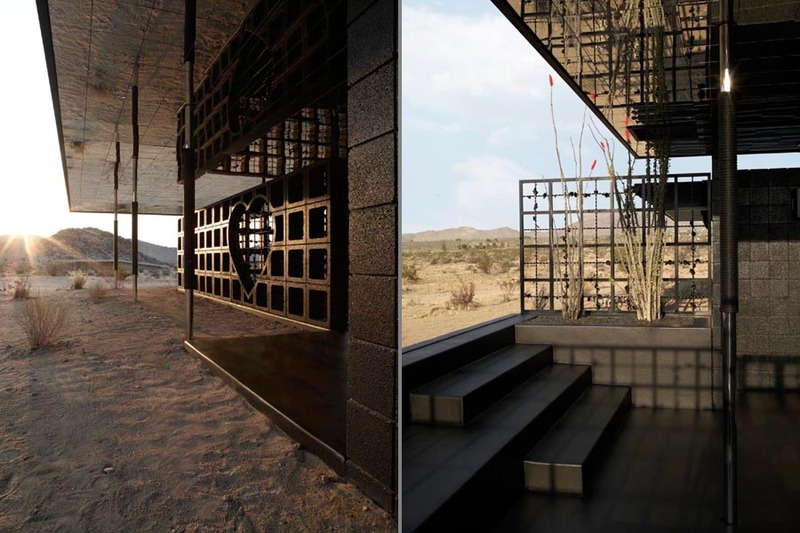 Bajito y suavecito and bad feng shui combine to create a pavilion in the desert that both contrasts and complements its desert location. 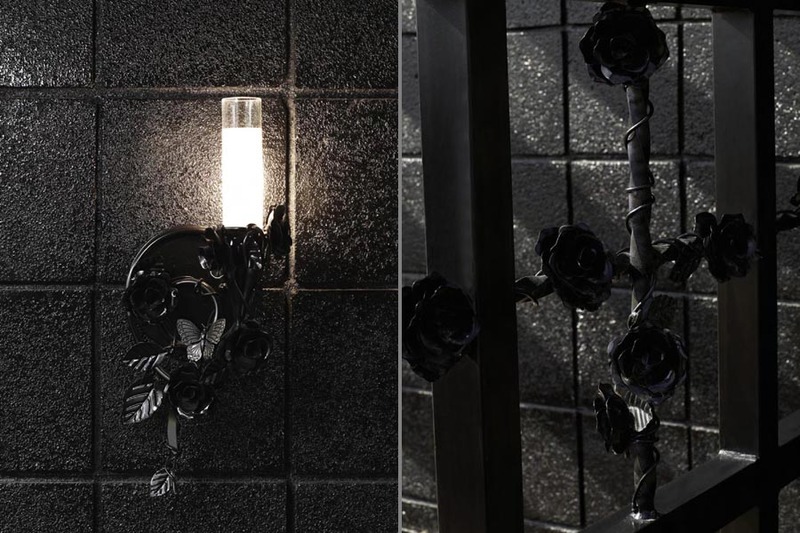 The house is rooted in modernism, but details are both structural and ornamental with hearts and flowers everywhere. . . and all in shades of black. 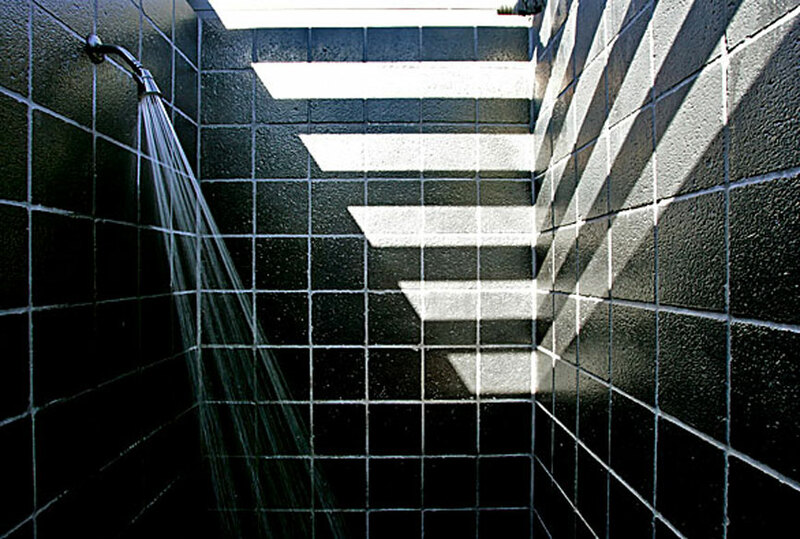 Chrome columns rise from the dirt to support a ceiling plane with thousands of mirror tiles on the underside. 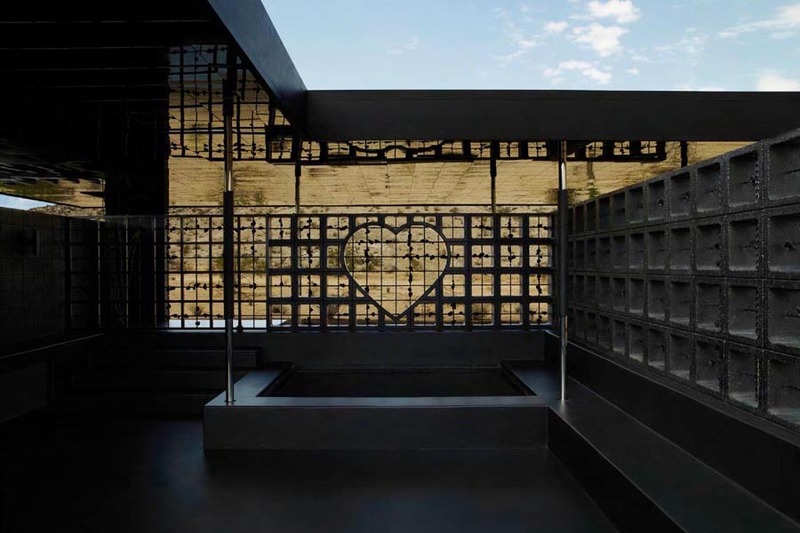 The building includes hand made light fixtures, custom cast block and wrought iron screens, and nail-less construction held together by stainless steel pins and rope connections inspired by traditional Japanese building. 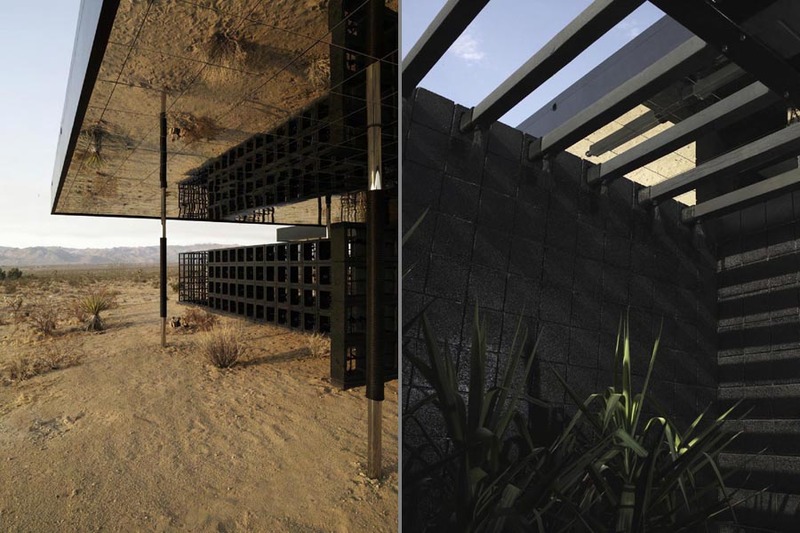 It is an entirely custom made architectural experiment that could only happen here and now. 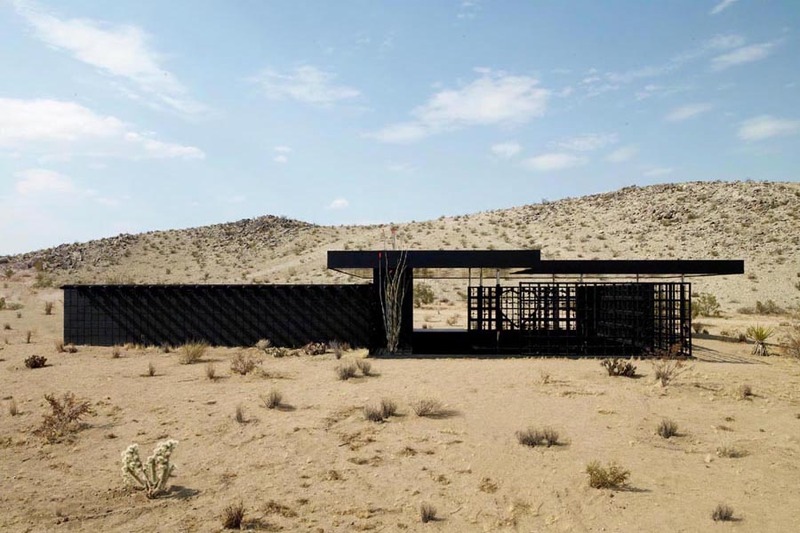 Though it has all of the luxuries you could want, the raw beauty of the desert climate is the meditative focal point of this house. The concept of “luxury camping” is brought right to the very edge of all out luxury. 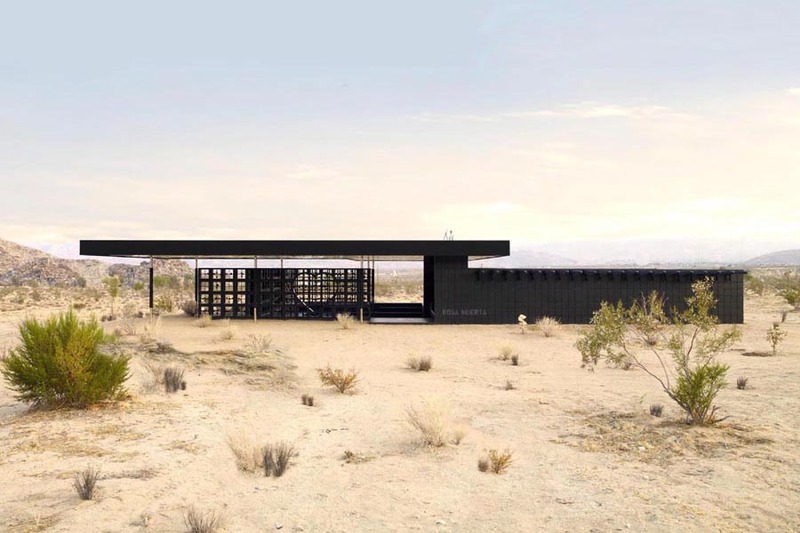 Inspired by modernist pavilions and the infinite entropy of the desert, this building is incredibly sheltering yet always connected to nature. 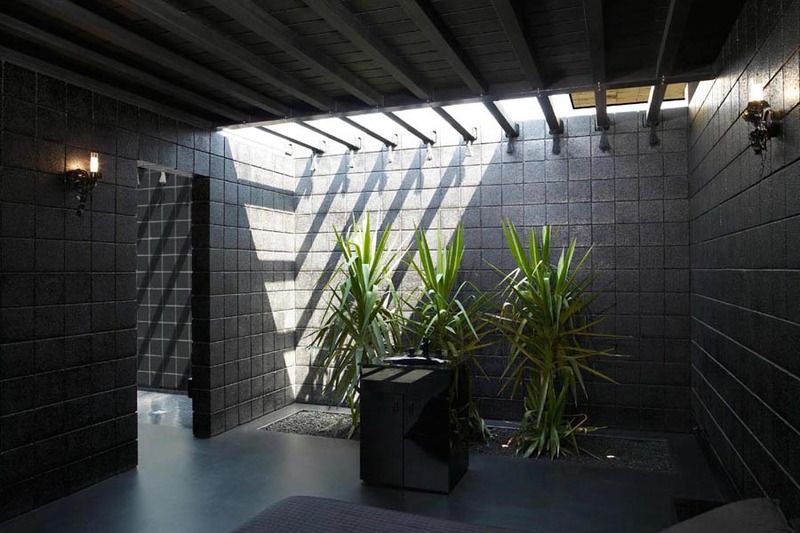 The house is not heated or air-conditioned but takes advantage of the mild weather with an architecture of walls without roofs, and roofs without walls. 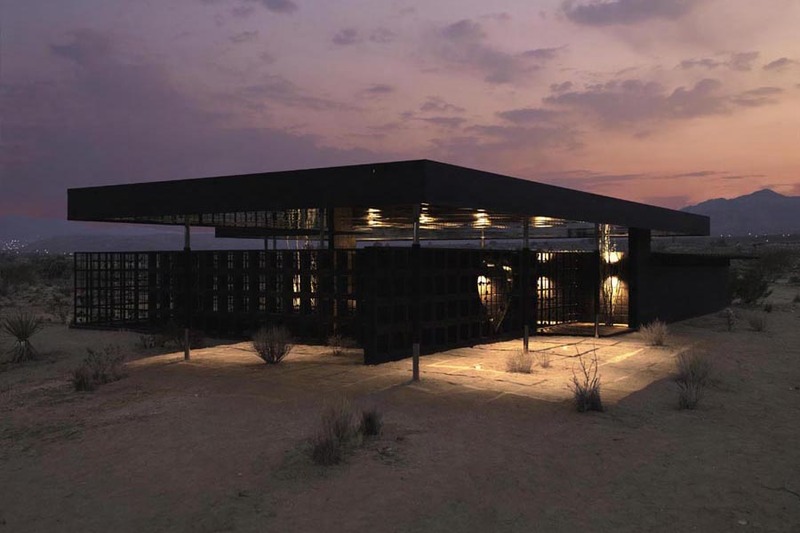 It offers luxurious amenities while paradoxically remaining connected in a deep way to the elemental rawness of the desert. The house has a large suite style bedroom. 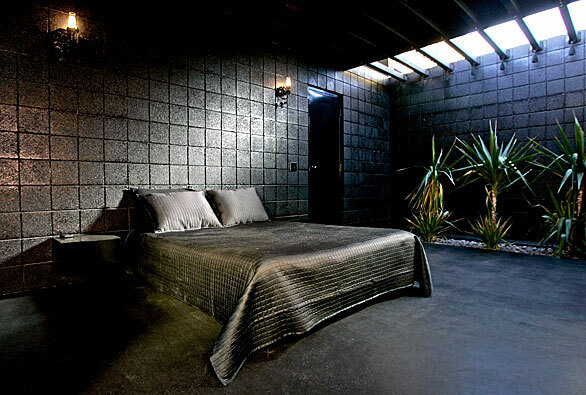 The bed is sheltered by block walls and a black stained wood roof, but planters filled with blooming yuccas on either side are open to the sky and bring desert breezes through at night. 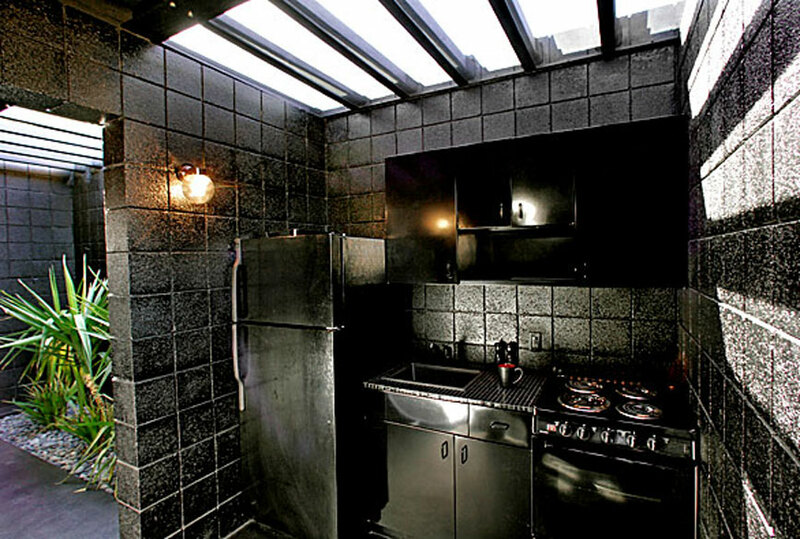 There is a glass roofed fully equiped kitchen where you can cook a gourmet meal, a black mirrored vanity with a black glass sink, and a huge shower with a built-in bench and open beams to the sky above. 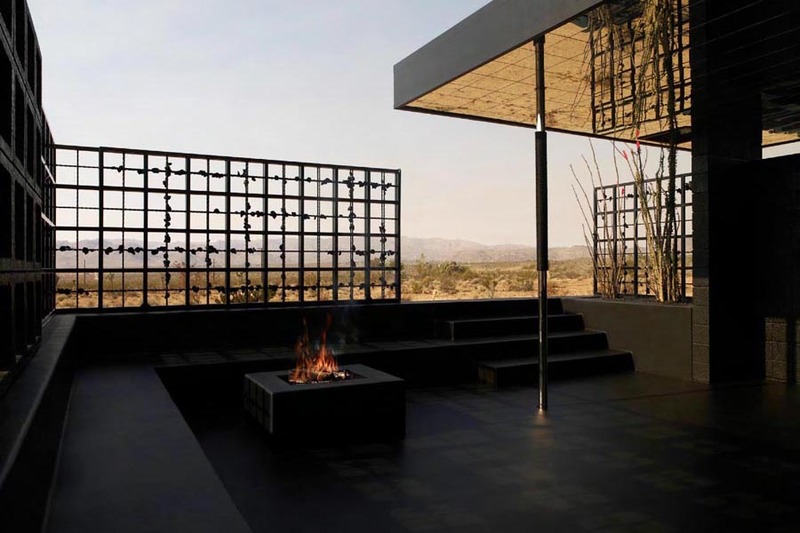 This is adjoined by an outdoor living room that is cut down into the desert floor and surrounded by a custom formed block-screen wall and ornate wrought iron screens that completely slide open to the surrounding desert. It is equipped with a barbeque and sink for outdoor cooking and catering, an ipod/cd stereo, a huge heated and jetted spa, and a fire pit. All of this is under a mirrored canopy that reflects the fire light, the pool light, and the surrounding sand and sky. 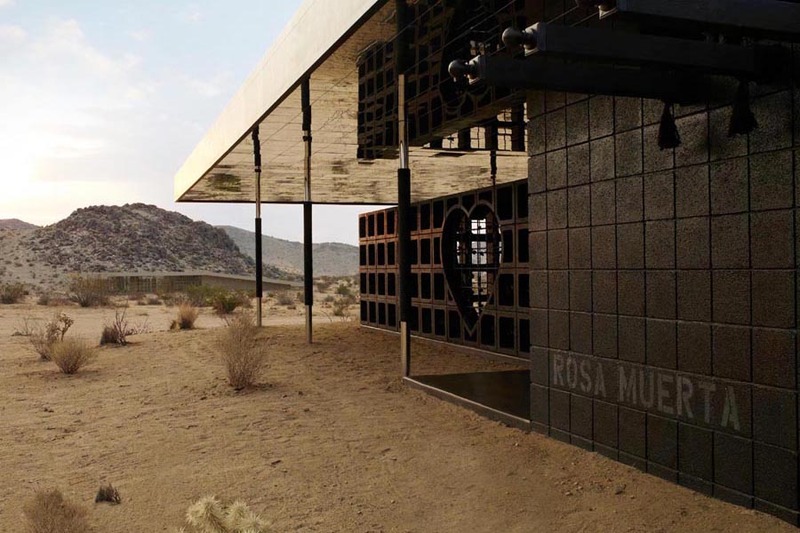 For more views of Rosa Muerta including architectural writing and photography, fashion photgraphy, and travel features from a guest’s point of view- see the Y Que page tab above.